There’s an easy way to look at the business of running a vacation rental property. This is no small responsibility, as a breakdown in any of the systems that contribute to the traveler having a great stay reflects not only on you but on all other stakeholders involved. Whether you only rent a few weeks a year or your goal is to achieve maximum occupancy in every season, the principles of running a small business apply. These principles cover the things we’d usually consider important in any business such as strategic, operational, supply chain, and financial management as well as marketing and human resources. Those are dry terms that don’t mean a huge amount when all you might want to do is post an Airbnb listing. But, they are just as important to a single property owner as they are to a large property management company, and each one plays a role in the success of a business, small or large. 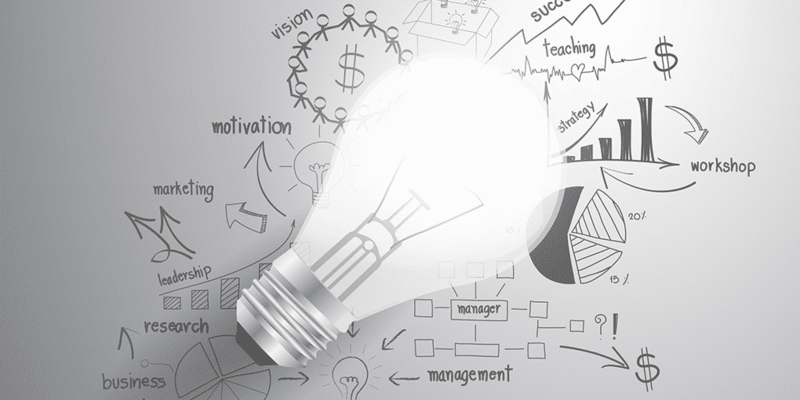 So first, what’s a strategic plan? Simply put, it’s an overview of the business over a period of time – where you want the business to be. The operational plan, on the other hand, describes the processes you’ll use to get there. 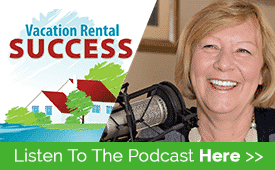 So, let’s look at both strategy and operations from the perspective of a vacation rental owner. Having a vision of where you want to be and how you’ll get there is a good start as it defines what you want your business to look like and what you want your guests to see and experience. It will also get you thinking about how you want to grow and develop as a vacation rental owner or manager. If you start your business with the end in mind, it makes a longer-term strategy easier to visualize. Do you want more properties of your own or would you be interested in managing vacation rentals for other owners? Will you want to sell the property or move into it? Take some time to consider what your business looks like in the future as this can impact what decisions you make at the outset. What do you consider as financial success? Knowing what you want financially over a period of time is important in helping define other strategic decisions. Do you want enough to pay the mortgage, or do you want to fund some renovations or upgrade some features of the property? Or, would you eventually like to work at it full-time and deliver enough income to support your family? Thinking like this makes it more of a business plan and less like a hobby. Are you willing to commit 5 hours a week? More? The answer to this determines decisions around how much of the day-to-day operations you can manage yourself and how much you should outsource. Not everyone is going to be the right fit for your property, so you should have a firm idea of who your perfect guests would be. A family with young kids? A millennial couple looking for an active vacation? A multi-generational reunion group? These are your market ‘personas’ and will drive how you market and advertise the property. Identify your niche and understand what your customers expect from you. This will help you position the property in the market and define how you’ll talk about it. Popular niches are ‘family’, ‘pet-friendly’, ‘beach condo’, and ‘city getaway’ but you can get more specific and tightly focused on a particular market if this suits the type of demographic you want to target. For example, a property in a location near a college or university could focus on parents/families coming to visit for sporting events or graduation ceremonies. How will you deliver excellent customer service? Guests want more than a clean and tidy property with a few TVs. They already expect that. Think about how you can exceed their expectations in every way. One way of doing this is to plan on finding out as much about your guests as you can and surprising them during their vacation with an unexpected touch. A bottle of champagne for an anniversary or a delivery of cupcakes for a birthday are examples of how you could go the extra mile. Build a method of collecting data on your guests into your strategy and this will help you get ahead of your competition. This strategy becomes your blueprint for the way you manage your vacation rental business and will help you develop your operational plan. All businesses have systems, and they are in place long before the doors are open. Just imagine opening a store without having a way to display the goods, help people purchase them, or tell people about them. It wouldn’t stay in business long. The same goes for your vacation rental. Even if you plan on using an online travel platform such as VRBO or Airbnb that build in some of these systems, you should develop your own in case you decide to market independently in the future. Fortunately, there are a wide range of resources available to help with managing the operations of a VR business. These range from reservation management systems such as Ownerrez , to social media hospitality apps that monitor cleaning like Properly, and services such as Avalara MyLodgeTax that ease the burden of managing the collection and filing of lodging taxes. New applications to help owners are being developed all the time, so keep an eye on blogs, vacation rental forums and events such as the Vacation Rental Success Summit to stay up to date. 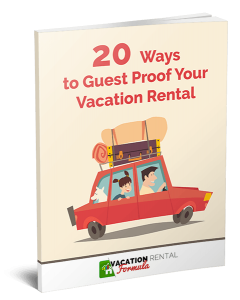 While it’s great to be excited about your vacation rental business (and you should be! ), paying attention to these core plans sets up a framework for success, no matter what stage you’re in with your vacation rental business. When you have your strategy and operations clear in your mind, you’ll have a vision of what you want your business to become and the plan that will get you there.